Is that a pig we just witnessed flying past? 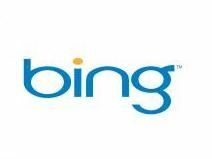 That sound you hear is 900 people saying "to Bing it"
In one of the more intriguing surveys of recent weeks, website One News Page has found that over half of the people it surveyed will be replacing Google with Bing as their main search engine. The news portal surveyed 1,000 people and found that 55 per cent of those who answered preferred to use Bing to search for things on the internet. Even more unbelievable, 68 per cent of those surveyed actually liked the name Bing – they must really like Chandler from Friends – and 90 per cent said they would use the expression "to Bing it". "Microsoft has a winner in Bing and in a couple of years it may be a force to be reckoned with," said Dr Marc Pinter-Krainer, founder of One News Page. "Microsoft finds ways of entering late into mature markets and flexing its huge marketing muscles to grab substantial share. "My verdict is that Bing will give Google a good run for its money, and the resulting competition in the search engine market can only be a good thing." In other news, three out of four TechRadar journalists will never say the expression "to Bing it" without sniggering. And that is a fact.